ConnellGriffin had the pleasure of hosting a table at CEDA's NSW Post Budget Address where The Hon. 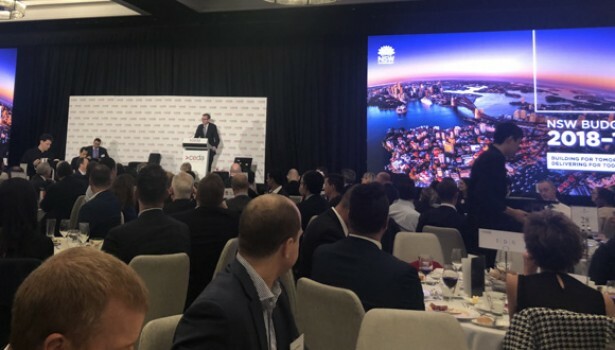 Dominic Perrottet provided insights into the 2018-19 NSW State Budget.The 2018-19 Budget continues to invest in the infrastructure to make our communities great places to live, now and into the future. A total of $87.2 billion from the Budget has been allocated, over four years, on infrastructure programs which will transform New South Wales and lay the foundations for the New South Wales of tomorrow. ConnellGriffin would like to thank CEDA for hosting this event and deliver a special thanks to our guests for joining us.